Prof. Michael "Mick" Peterson, Ph.D.
Michael “Mick” Peterson, Ph.D. is Principal of the Biologically Applied Engineering and the Libra Foundation Professor for the College of Engineering at the University of Maine. Dr. Peterson’s research links traditional understanding of engineering mechanics and materials to the biomechanics of animals. His research emphasis is on the manner in which dynamic response can be used to characterize materials. Mick Peterson is an affiliate faculty member in: School of Marine Sciences, Civil Engineering and the Animal and Veterinary Sciences Department at the University of Maine. He has been collaborating with the faculty in the College of Veterinary Medicine and Biomedical Sciences at Colorado State University for more than a decade. Over this time Dr. Peterson has developed a passion for understanding racing surfaces. This work was started with funding provided by AQHA racing and has led to studies that now include thoroughbred, quarter horse and standard bred horse tracks as well as dog racing. This work also has the potential to be at the center of questions regarding design, safety and maintenance of natural and synthetic racing surfaces. Dr. Peterson has published over 50 journal articles, a book chapter, more than 150 conference proceedings and conferences papers and has received three patents. 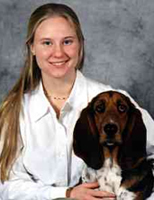 Christie Mahaffey is a Research Engineer for Biologically Applied Engineering and a Ph.D. candidate in Interdisciplinary Engineering at the University of Maine. Ms. Mahaffey’s work applies mechanical engineering principles to biological questions. Her current research interests focus on the relationships between the material composition in dirt surfaces, the structural design of these surfaces, and how these factors influence horse biomechanics, with the goal of increased safety for both horses and riders. She particularly enjoys visiting different horse facilities and meeting the people who work with the horses and surfaces. Ms. Mahaffey is also an adjunct engineering faculty at Maine Maritime Academy. 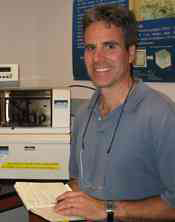 John Bridge is an affiliated researcher with Biologically Applied Engineering. Dr. Bridge is also an Associate Professor of Engineering at Oregon Institute of Technology. His area of expertise involves the wax-coated granular composite materials used in Thoroughbred horse racetracks. He has developed synthetic surface testing procedures and has analyzed most of the synthetic racing surfaces used in North America. His goal is to better understand the thermal-mechanical hoof-surface response in order to achieve more consistent and safer surfaces for the horses and their jockeys. Dr. Bridge is a registered Professional Engineer and also a former Lt. Colonel in the U.S. Air Force with engineering and research experience that include advanced materials characterization at Lawrence Livermore National Laboratory, research and development of numerous aerospace systems, and operational experience with the U.S. space program on both coasts. He has been an engineering faculty member at several institutions including the U.S. Air Force Academy in Colorado and the U.S. Military Academy at West Point, New York. He has published several journal articles and numerous conference proceedings involving polymeric, ceramic and metallic materials.